Free Shipping Included! 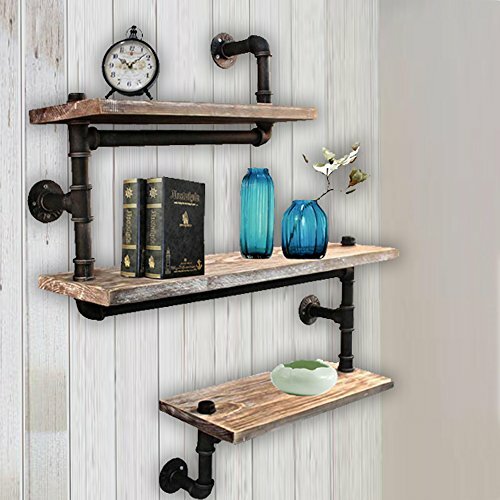 Reclaimed Wood & Industrial DIY Pipe Shelf Shelves Steampunk Rustic Urban bookshelf 3 tier real wood bookshelves and bookcases by WYZ Furniture at Momiji Studios. MPN: 43188-243241. Hurry! Limited time offer. Offer valid only while supplies last. ✔Use:Applies to office, bedroom, kitchen, living room, bar, cafe and so,add extra space. ✔Improvement: Comes with assembly instructions and easy to install. If you have any questions about this product by WYZ Furniture, contact us by completing and submitting the form below. If you are looking for a specif part number, please include it with your message.